Krishnam is an upcoming movie that has Akshay Krishnan playing the lead role with Aishwarya Ullas as his love interest. Sai Kumar, Shanthi Krishna, Vijaykumar, Vineeth Kumar, Renji panicker,V K prakash, Jayakumar and Anjali Upasana are the others in the star-cast. 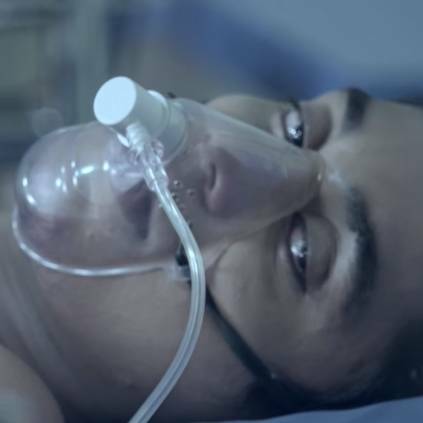 The film is based on the real incidents that happened in a family in Guruvayur, where a miracle performed by Guruvayur Lord Krishna saving a boy from life-threatening disease. The makers have released the trailer of the film today. It was launched by director SA Chandrasekhar, who is the father of Thalapathy Vijay. Krishnam Movie Based On True Miraculous Incidents. People looking for online information on Akshay Krishnan, Dinesh Babloo, KRISHNAM, Sai Kumar will find this news story useful.